Modern luxury holds your clothes. The Corral dresser accentuates beauty through all of its facets. 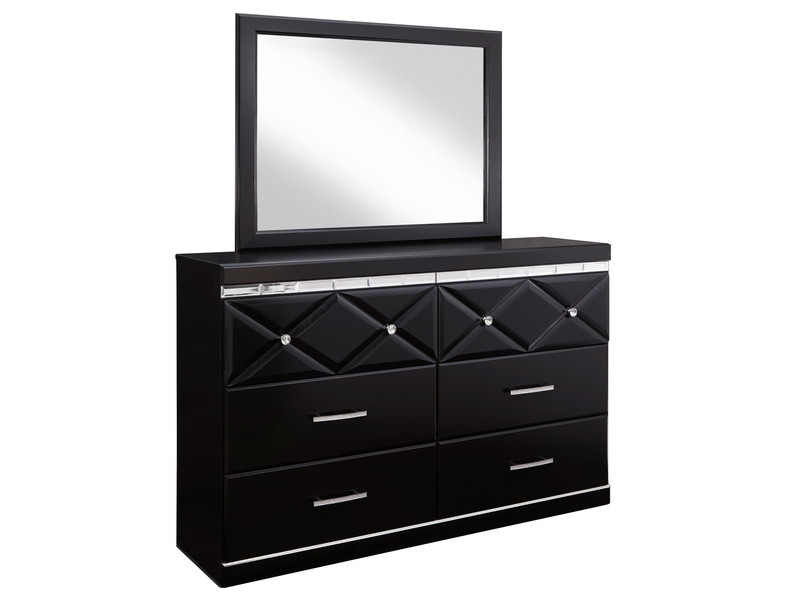 Beveled mirror accents under the top moulding and a sleek finish grab your attention. 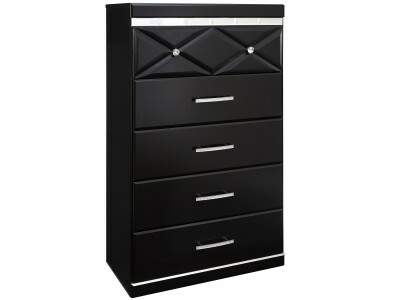 When opening the top drawers, the dazzling faux crystal drawer knobs and outer faux leather draw you in. 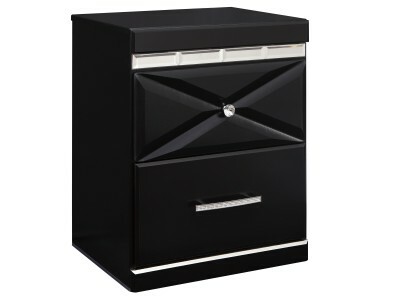 Four other drawers decorated with faux crystal handles provide more storage.